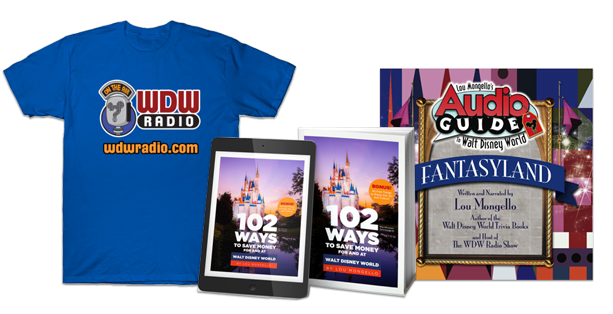 WDW Radio Kids & Teens Day: Happy 25th Anniversary, Disney Store! The Disney Store has been around for 25 magical years. For the month of March, Disney stores all over the country have been celebrating by having activities every Saturday. Here is a recap of all the fun events. This one was my favorite so far. Now, you might think that this sounds easy, but remember this was designed for smaller kids so, unless you were walking around on your knees, it was a challenge. You hunt around the store for signs that had a Disney character on it and a word. You would then look at your sheet and write the word next to the character pictured on the sign. In the end, you should have gotten the sentence “Thanking you for 25 magical years.” If you deciphered this sentence and showed it to a Cast Member, you got a cute puzzle to try and put together. The puzzle is only 25 pieces, but has the 25 year drawing printed on it. I was unable to go to this event because my mom was done with hats (March 3rd was also Platypus Day and we made our own fedoras). I talked to a friend of mine and found out what this day’s celebration was all about. You had the opportunity to make your own classic-birthday-shaped hat and decorate it with stickers. These stickers weren’t the ones used in the “Stickers and Story-telling event” that would take place a couple weeks later. I came into this event prepared for whatever questions were going to be thrown at me. When the Disney Store celebrated Mickey Mouse’s birthday a few years back with a trivia contest, and I was the only person that day that got all 10 questions right about Mickey Mouse. Since then, my family has had a friendly rivalry against me and each other when it comes to Disney trivia. When the first question appeared (What was the name of money used in Disney parks but has been out of production since 2009? The answer was Disney Dollars) I thought I had this contest in the BAG! But then the questions got more difficult. (Which character makes a cameo appearance in Aladdin? The answer was the Beast!) My brother and I eventually tied with 3 out of 5 correct. Then came the dance party. Kim, a cast member that deserves a raise after her debut as the dance instructor, led us through games like freeze dance (when the music stops, you freeze and pose like a Disney character) and a game where you dance in slow motion when the music slows down and pick up the pace when the music speeds up. The funniest part of the day was when we had to pose like Goofy and both my brother and I struck the same pose … when Goofy has gum on his shoe in the Orlando International Airport! Overall, I had a fun Saturday with this event and left with both a certificate of participation (signed by my favorite cast member, Steve Y.) and a 3 inch 25 year button. This event was the best one to express yourself. You got a sheet of stickers and a mad-lib style paper with plenty of area to place the stickers. Included in this blog is a picture of what I did with my stickers, and what story I created by filling in the blanks. In my Disney celebration, attended by Oswald and Peter Pan, we had chocolate cake and played pin the tail on the donkey! This was my favorite event to watch other kids do also. Some kids refused to use certain stickers and others made sure to use every one! I saw many things from candy-flavored cake to rainbow socks written in their stories. You could even pop out your story and keep it if you wanted to! March 28th: Happy Anniversary Disney Store! This event is tomorrow, and I hope to have a “doctor’s appointment” around the time my local Disney store opens to receive the silver hats only available Wednesday. The first 250 people to go to your local Disney store get exclusive Special Edition 25th Anniversary Mickey Ears! Our Disney Store cast members say that many people are telling them that they’re going to work late just so that they can get their ears. They don’t expect them to last long! 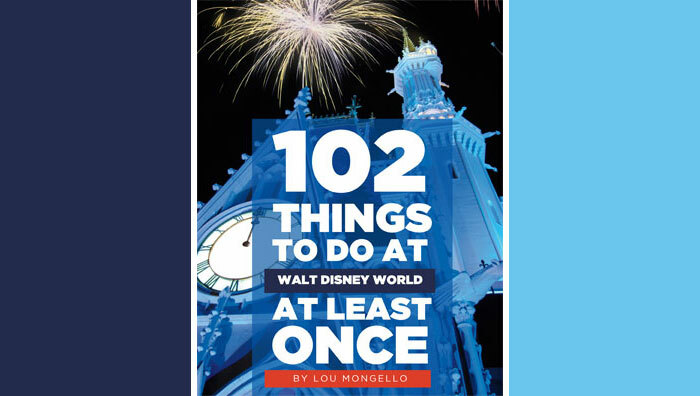 But if you can’t make it to the Disney Store early or are 251st in line, the celebrations continue all day with 1 non-stop playing video. In addition, every 20 minutes, a game will be played, including Simon Says and another dance party (maybe Kim will be back)! Also, if you visit the Disney Store at any time throughout the day, you can buy the exclusive 25th anniversary Vinylmation and get special savings in-store or online! I hope you enjoyed my recap of all the anniversary celebrations continuing at the Disney Store. Remember, tomorrow is your last chance to join into the festivities! Congratulations to Marisa who got the previous “Where in the World” picture correct. Makena is a 13 year old middle school student who spends much of her free time researching Disney. She enjoys sharing Disney facts and even plans Walt Disney World vacations (including searches for secrets and Hidden Mickeys) for friends and family.